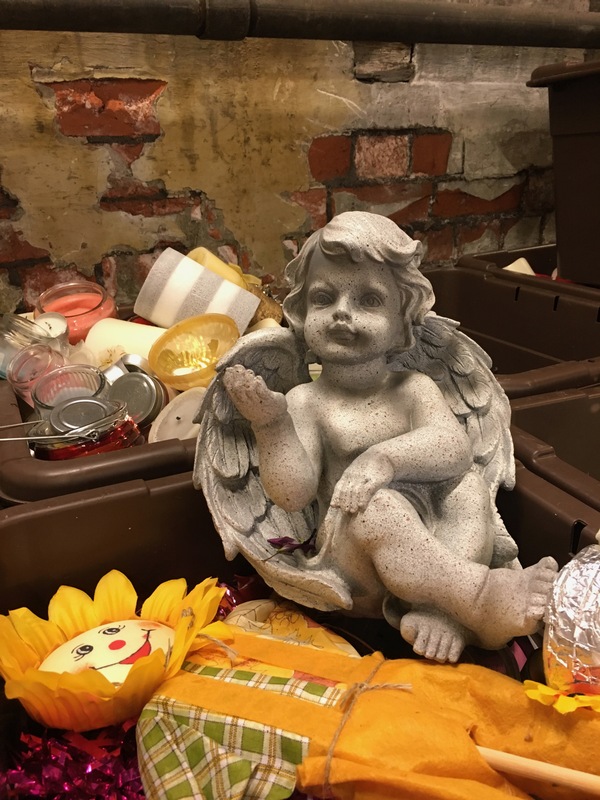 Since June 2017 the work done by different organisations to care for the objects collected from spontaneous memorials around the city has been documented in film, photography and oral testimonies of those involved. The media we have created follow the journeys of more than 10,000 tributes from sites around Manchester and beyond. Filmmaking was used as a research method to document and reflect on the challenges, considerations, and decision-making of the people and organisations involved in the archiving of the objects. Filmmaking was also used to examine moments in the “biography” of these objects and how different people engaged with them practically, emotionally and sensorially. 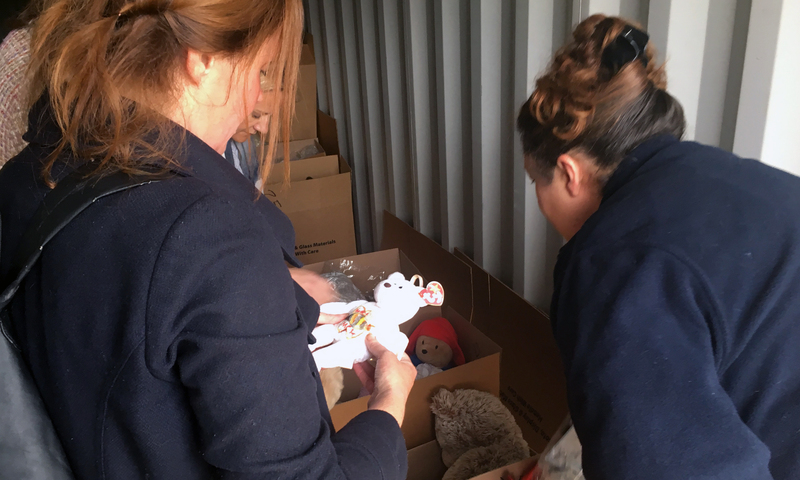 Among the tributes were more than 2,000 soft toys, which were dried out by Timpson and washed by members of the Women’s Institute from branches across Greater Manchester. The soft toys were distributed to children in Greater Manchester and across the world. This film follows the journey of those 2,000 soft toys. Thousands of candles were lit to remember the victims of the Manchester Arena attack. One year later, artist Maja Piechocka was invited by Manchester Art Gallery to turn some of these tributes into 22 larger candles – one for each person who died in the attack. These candles were lit in the anniversary memorial ceremony in Manchester Cathedral in May 2018. 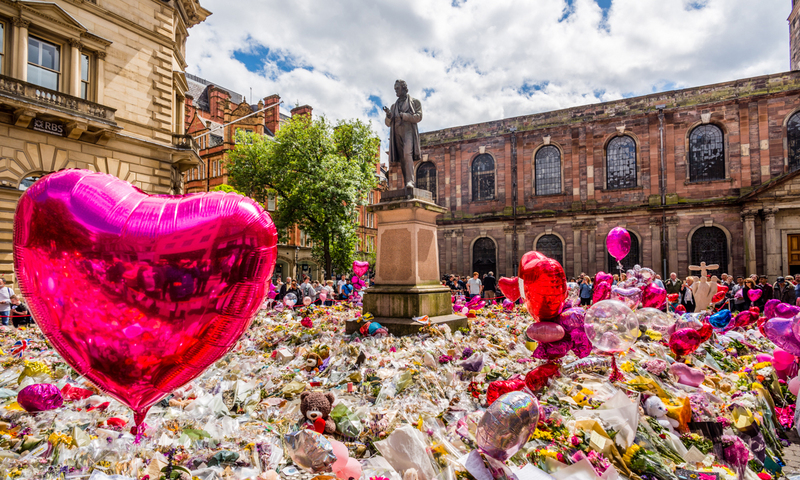 Amanda Wallace, as acting director of Manchester Art Gallery during the summer of 2017, has been at the forefront of the city’s decision-making around the spontaneous memorials. This retrospective interview with Amanda gives an overview of the complex processes and conversations that led to the foundation of the Manchester Together Archive. 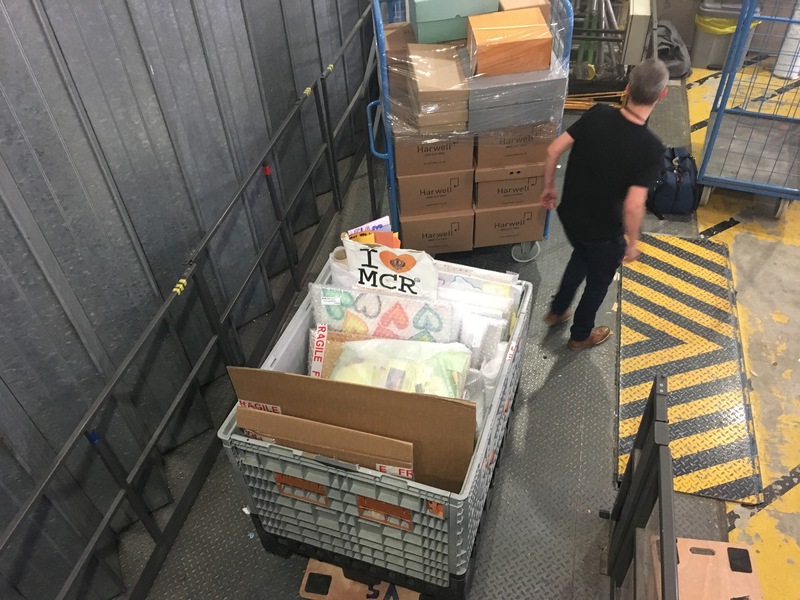 Since July 2017 the journeys of over 10,000 objects from memorial sites around the city to the Manchester Together Archive have been documented. Volunteers sort through the spontaneous memorial material. Image courtesy of The University of Manchester. Objects from the spontaneous memorial were sorted into boxes. Image courtesy of The University of Manchester, 2017. Volunteers helped sort through over 15,000 objects. Image courtesy of The University of Manchester. 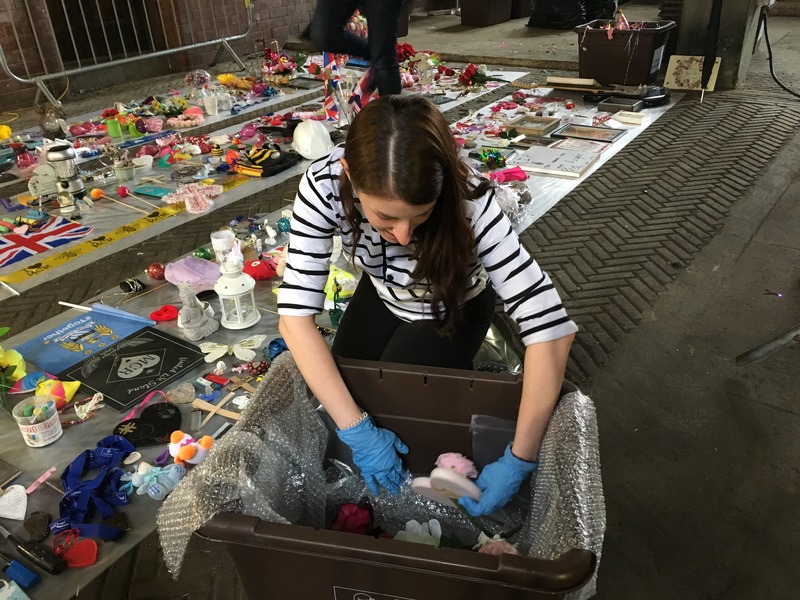 Volunteers sort through boxes after the removal of memorials from sites around Greater Manchester. Image courtesy of Belle Vue Productions. Objects removed from St. Ann’s Square were temporarily stored at London Road Fire Station. Image courtesy of the University of Manchester. Objects were moved from storage into Manchester Art Gallery. Image courtesy of the University of Manchester. 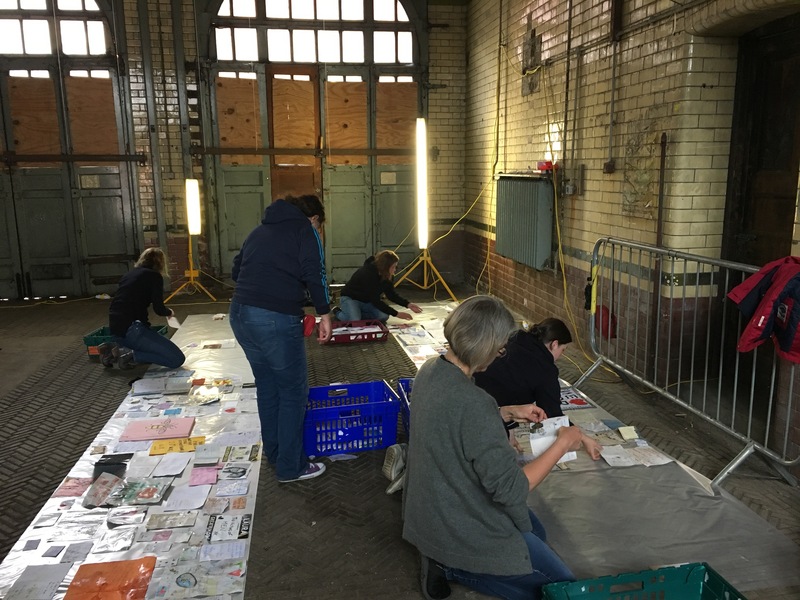 Members of Manchester’s Women’s Institutes washed and repaired over 2000 soft toys in the summer of 2017. Image courtesy of Belle Vue Productions. Soft toys, left as tributes, were distributed by children’s charities. Image courtesy of Belle Vue Productions. Some of the 2000 soft toys left as tributes were photographed by Shaw & Shaw. Image courtesy of Belle Vue Productions. 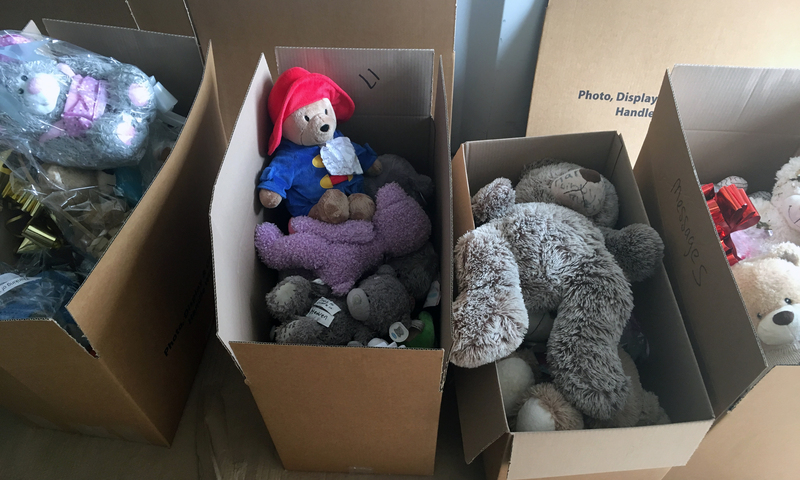 Some of the 2000 soft toys left as tributes after the Manchester Arena attack. Image courtesy of Belle Vue Productions. Objects from the Manchester Together archive at Manchester Art Gallery. Image courtesy of The University of Manchester. Staff from Harwell Conservation in Oxfordshire stabilise paper material removed from the spontaneous memorial sites. Image courtesy of Belle Vue Productions. Objects were carefully documented and stored by collection staff at Manchester Art Gallery. Image courtesy of the University of Manchester. Paper objects were freeze dried, decontaminated and cleaned by Harwell Conservation in Oxfordshire. Image courtesy of the University of Manchester. Dr Kostas Arvanitis, University of Manchester, in Manchester Art Gallery’s new archive. Image courtesy of The University of Manchester. Objects being stored in Manchester Art Gallery’s new archive.Image courtesy of The University of Manchester. Objects being stored in the Manchester Together archive at Manchester Art Gallery.Image courtesy of The University of Manchester. Objects being stored in the Manchester Together archive at Manchester Art Gallery. Image courtesy of The University of Manchester. Objects waiting to be stored in the Manchester Together archive at Manchester Art Gallery. Image courtesy of The University of Manchester. The Manchester Together archive at Manchester Art Gallery. Image courtesy of the University of Manchester. Cards were kept from bouquets left in memorial sites across the city. Image courtesy of the University of Manchester. Staff from Manchester Art Gallery at work in the new Manchester Together Archive. Image courtesy of the University of Manchester. 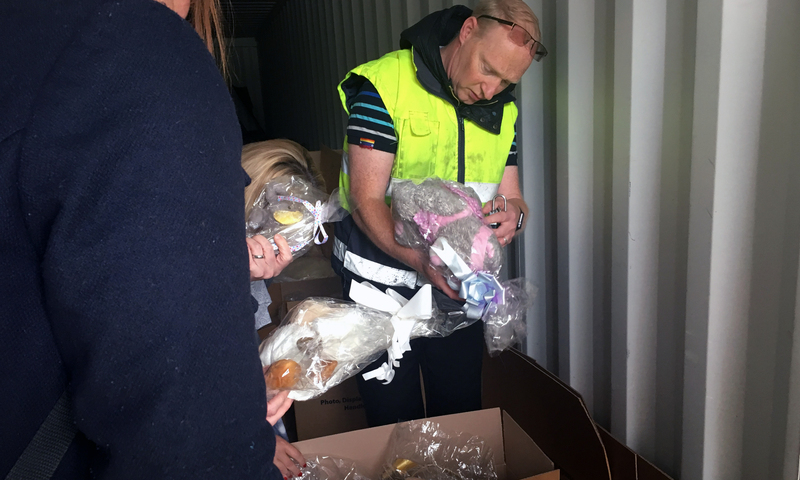 Every soft toy was photographed before distribution by children’s charities. Image courtesy of Belle Vue Productions. 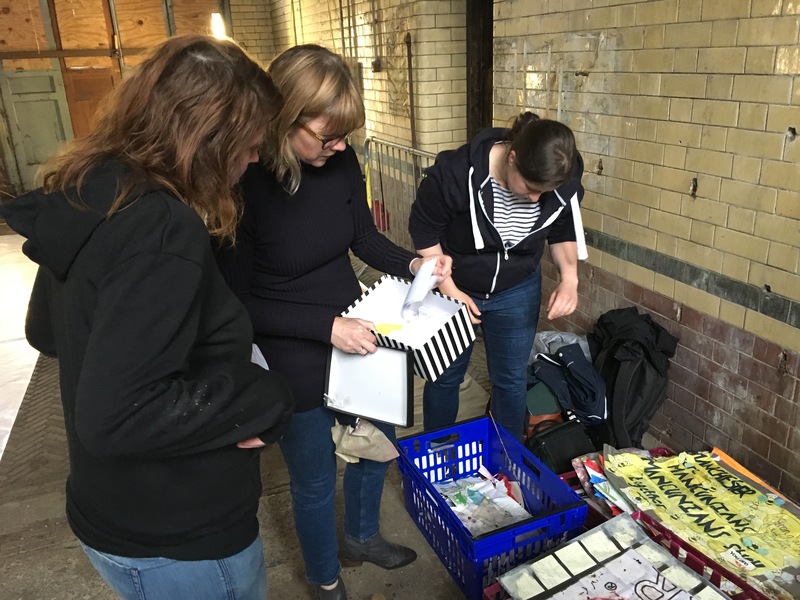 Postgraduate students from the University of Manchester undertook a pilot documentation of objects in the Manchester Together Archive. Image courtesy of the University of Manchester. Artist Maja Piechocka was commissioned to make 22 memorial candles from tributes left after the attack. Image courtesy of Belle Vue Productions. Image courtesy of Belle Vue Productions.